Contact me for specific hours on Saturdays only. 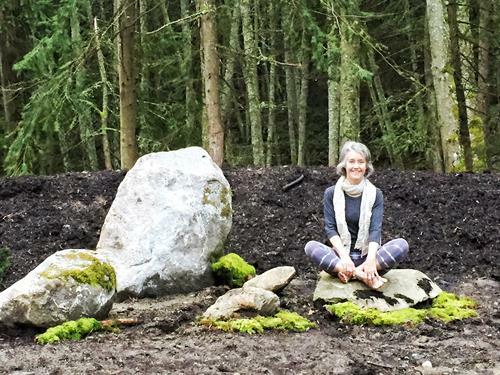 union vashon is the joining of two services: yoga for wedding parties, at a magical artist studio in the woods on maury island, vashon - and wedding officiating at small, personalized weddings all over vashon island. you put so much into planning your wedding day. allow yourself the gift of feeling grounded, centered and fully present for one of the most important days of your life - through a private yoga session for you and your partner, your whole wedding party or your family. i will customize the session to meet your needs, whether you're a dedicated yogi or have never done yoga in your life. melt stress, open up space in your body for finding your true voice, soothe your emotions - and so much more. i also offer private and semi-private yoga sessions at the studio on saturdays only. 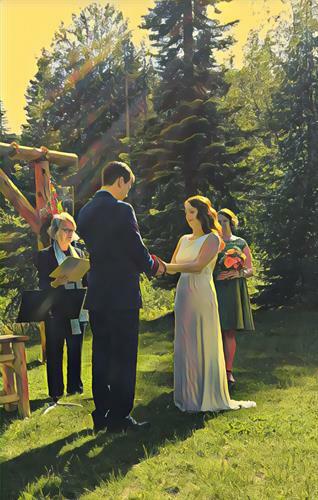 in addition, i am a certified life-cycle wedding celebrant, and will create a personalized and unique ceremony. A beautiful and magical art studio in the woods on the Maury section of Vashon Island. Contact me and I'll tell you more!